Phil Grove rides for Sportsman's Ski Haus and is the defending Montana Off Road Series Champ. This year he's out to defend his title and grab a couple wins along the way. Few mountain bike courses with 70% double- track have such a devout following as Unravel the Scratchgravel. 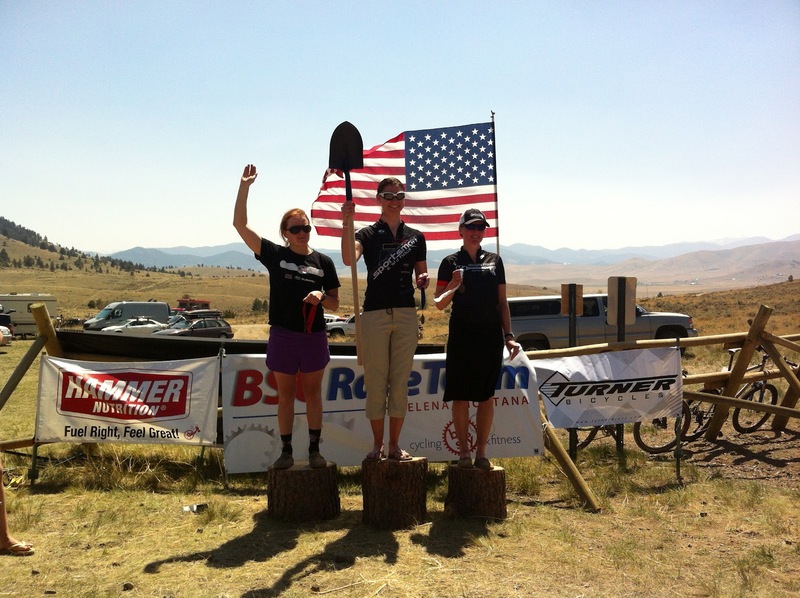 It is consistently one of the best attended events on the Montana Off Road Series Calendar. Bozeman and Helena had the biggest contingent of riders, with the Flathead and Missoula sending a select crew of hit men and women. Much to the delight of the men’s Cat 1 field, local hero (and defending Scratchgravel Polaski holder) Sam Schultz had a breakthrough result yesterday on the World Cup Circuit, so the rest of us mortals in the 50cc category were free to battle amongst ourselves. At the start, road/trail Racer Alan Adams blasted away with the wholeshot, screaming something about “Strava Glory!”. I hopped on his wheel straight away, I didn’t want to mess around with a bunch of riders navigating the loose and fast dirt roads. We had a fair gap atop the first climb, at which point Alan went out in a blaze of glory from his rockstar effort, and so at mile .5 I was flyin’ solo and going for victory. I pushed it fairly hard on lap 1, but try as I might Travis Sheefer of Bozeman (via Crested Butte) was minding the gap pretty easily. He caught me at the start of lap two, and we went back and forth a bit. I thought he may have been a little whooped too, as I opened a couple small gaps on the second lap. He was probably just fueling or calling his mom to say happy mother’s day, while I was trying in vain to shake him loose! At the end of lap two, I was feeling the initial efforts, and he gingerly rode away from me. I held the gap within reason for a bit, but basically just rode hard enough to keep 3rd and 4th place out of sight. I knew I wasn’t going to beat Travis on that day, props to him, so I just throttled back a smidge and saved the 110% effort for another day. I’m a firm believer in Racing to Win. But if you’re not going to win, don’t ride any harder than necessary! Much to my surprise (and chagrin), road racer turned cross racer turned mtb racer Scotty Herzig stuck it to my team mate Ben Parsons to round out the podium! Congrats to Scott and MT Velo for stepping it up the last couple years, they are a force on the Montana Scene at all disciplines. Ben admittedly takes a little longer to get the afterburners installed each year than most everyone else, but challenge him to the Butte 100 in July and you’ll likely find yourself semi-conscious under the searing heat of Butte, helplessly watching the buzzards pick at your legs. Or just throw in the towel like I did.. Anyway, enough nonsense, some good battles unfolded throughout the day. Newcomer to the scene, Savannah M. from Whitefish took a convincing victory in the Women’s Cat 2 Event. 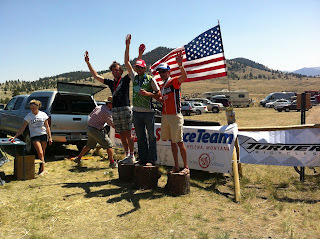 And Missoula Trail Stalwart Mike Longmire smashed it with a win in the Master’s Race. Women’s action was hot, with Rose Grant snapping out of her early season funk to take the W, and miss consistency L. Campbell rolling in 2nd. 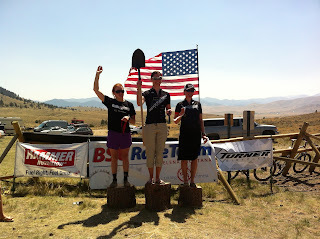 Big congrats to Ingrid of Team Hellgate Cyclery for a strong 3rd place. Drop of the week goes to Lisa Curry for not having a mountain bike, but good effort for trying to race on a cx bike. If I were down on my luck, rest assured a 29 hard tail would be my only possession. Scratchgravel ’12, another awesome race, glad the MT series is rolling again. Cruise up to Heron Hammer this weekend for another great stop on the series! PS, come early (preferably Friday afternoon) for a fun filled weekend of Trail in the Flathead. Tally Ridge Group Ride leaving Saturday early afternoon! Two hour loop at a fast snail’s pace, with a descent that is oh so cryptic! !